The Company is an experienced explorer, developer, and operator having operated nine gold mines across Australia and Africa which have produced in excess of 8 million ounces of gold. The Company currently operates two mines, the Syama Gold Mine in Africa and the Ravenswood Gold Mine in Australia, and is one of the largest gold producers listed on the Australian Securities Exchange. 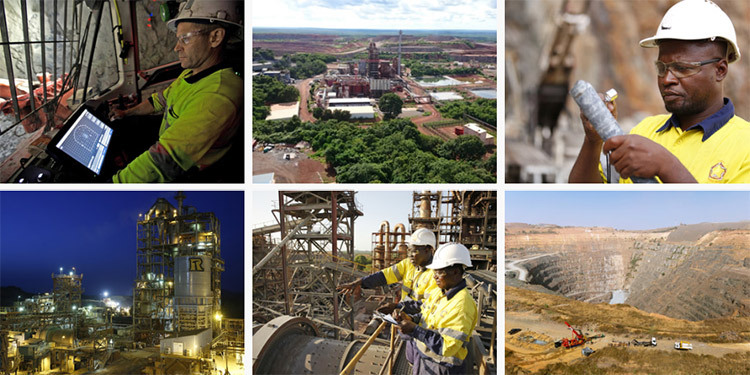 Resolute’s flagship Syama Gold Mine in Mali is a robust long-life asset benefitting from fully operational parallel sulphide and oxide processing plants. The move to underground mining will continue the asset’s history of strong cash generation and extend the mine life to out beyond 2028. The Ravenswood Gold Mine in Queensland, Australia demonstrates Resolute’s significant underground expertise in the ongoing success in mining the Mt Wright ore body. In Ghana, the Company has completed a feasibility study on the Bibiani Gold Mine focused on the development of an underground operation requiring modest capital and using existing plant infrastructure. Resolute also controls an extensive exploration footprint along the highly prospective Syama Shear and greenstone belts in Mali and Cote d’Ivoire and is active in reviewing new opportunities to build shareholder value. At Resolute we conduct our business by being Bold, Courageous, Agile and United in everything we do. BOLD - do you strive for excellence to deliver your best work? AGILE - are you naturally curious and adaptive to change? COURAGEOUS - do you have a genuine care for others, the environment, community and assets? UNITED - do you collaborate and share your knowledge? We want energetic and forward thinking people who share our values to join Team Resolute. Electrical and SMP Supervisor, Syama Mine, Mali, Mali Hot! Camp Maintenance Development Supervisor, FIFO Syama Mine, Mali, Mali Hot! Electrical Engineer, Syama Mine, Mali, Mali Hot! Resolute is an experienced explorer, developer, and operator having operated nine gold mines across Australia and Africa which have produced 8 million ounces of gold over the past 28 years. We have a strong history, the expertise and drive to deliver now and into the future. We have a mindset of exploration, growth and development and we are active in seeking new opportunities to build shareholder value. The Resolute workplace empowers our people and provides them opportunities to use their talents to contribute to the broader social, economic and sustainable development of the communities in which we operate. If you are looking to work with a global company that has challenging technical assignments and an exciting pipeline of development projects, Team Resolute is for you.